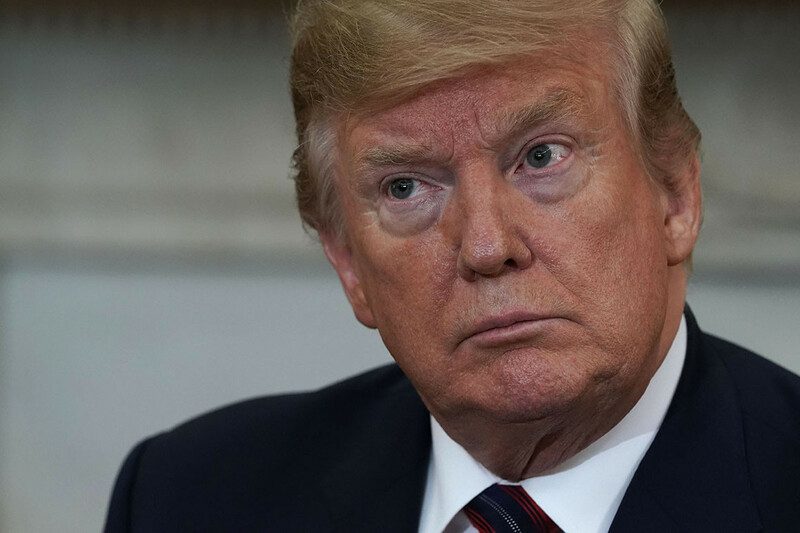 US President Donald Trump's tax returns must be given to House Democrats by 23 April, a committee chair has said. The administration has already failed to comply with a 10 April deadline. In a letter to the Internal Revenue Service (IRS), House Ways and Means chairman Richard Neal said failure to comply with the new deadline would be interpreted as a denial of request. One of Mr Trump's top aides said last week that the Democrats would "never" see his tax returns. Mr Neal is the only member of the House of Representatives authorised to request individual tax information under a federal law. He has asked for six years of Mr Trump's personal and business returns. Republicans have called the request as an overreach of confidential taxpayer data. But in the letter, Mr Neal told IRS Commissioner Charles Rettig: "None of the concerns raised can legitimately be used to deny the committee's request... If you fail to comply, your failure will be interpreted as a denial of my request." Every US presidential candidate since 1976 has released their tax returns, but there is no law requiring it. Democrats claim the request is both legal and necessary. The Democrats gained control of the House of Representatives in mid-term elections last year, empowering them to launch investigations into Mr Trump's administration and business affairs. A lawyer for President Trump likened the request to "harassment". Mr Trump has claimed previously that he could not to release his tax returns because they were being audited by the IRS.